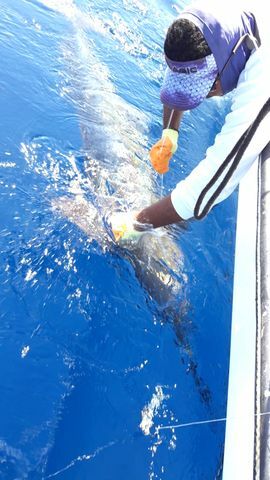 On February 12 Erica and Laura Angermeier’s group scored a real fish of a lifetime with Captain Alex reporting this monster Blue Marlin release from the Harvester. 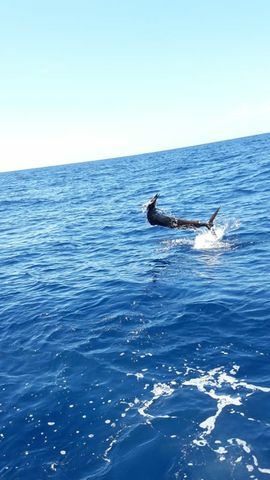 What an amazing creature! 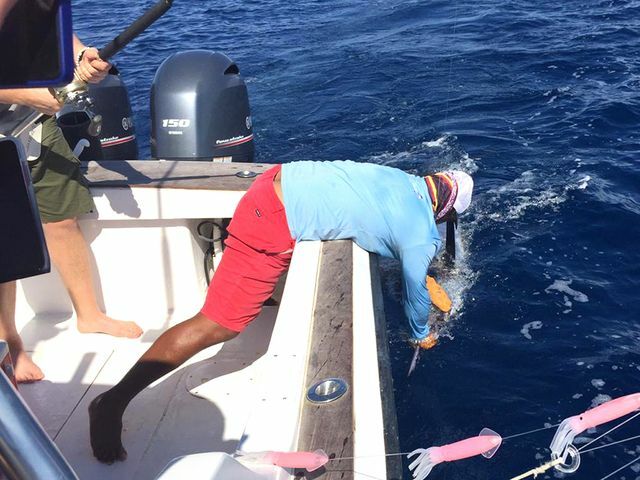 Well handled by the crew of the mega panga and live released as always. 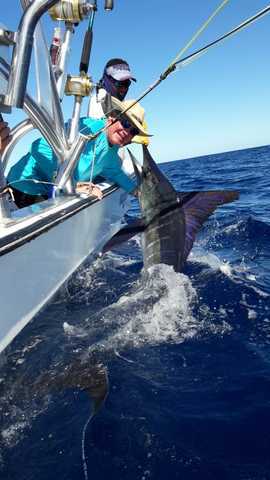 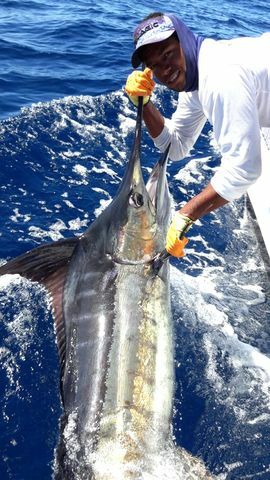 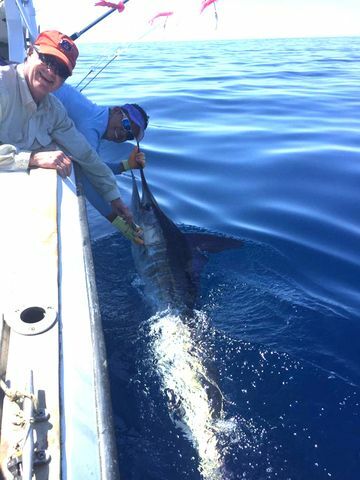 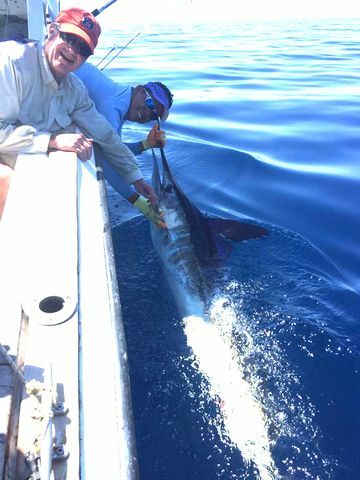 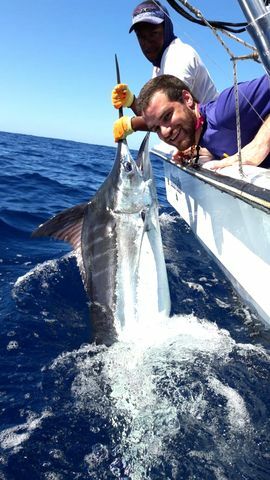 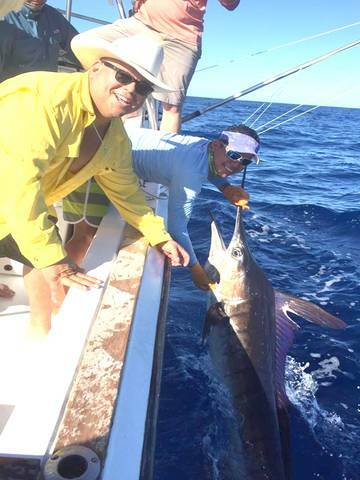 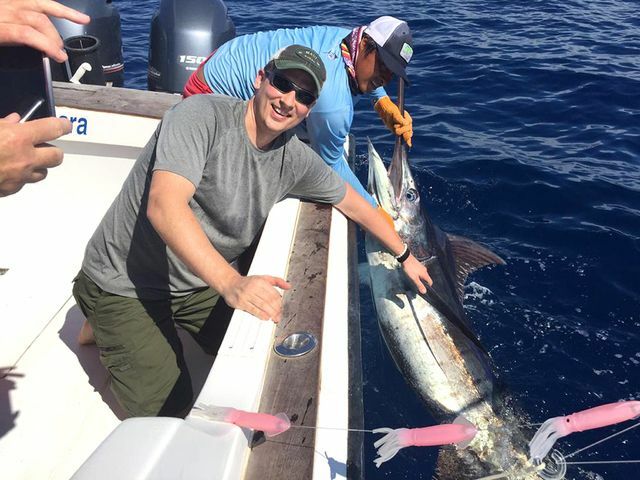 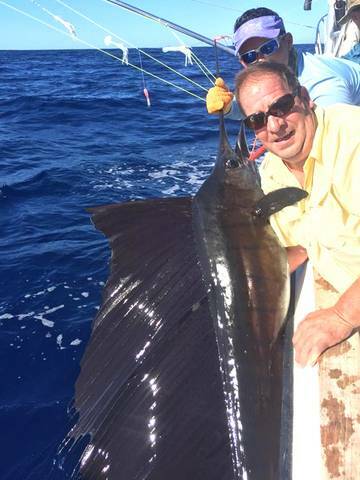 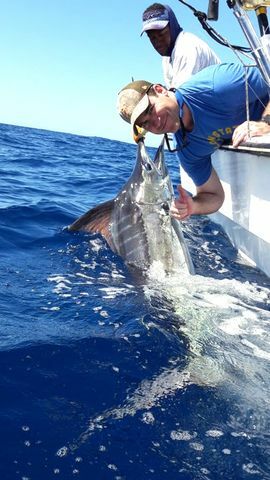 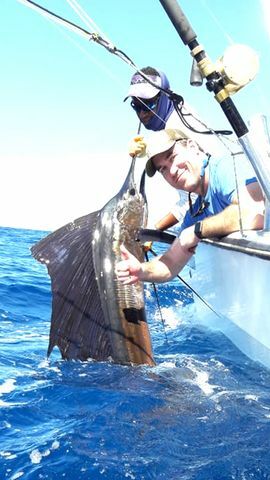 Our new buddy Steve Persinger scored the fish of a lifetime with this super Striped Marlin release on February 7. 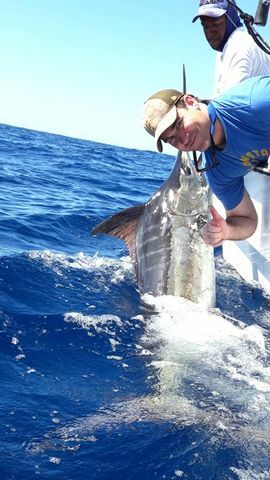 Great fish handling by Mate Kevin ensures that we’ll see these beasts again one day. 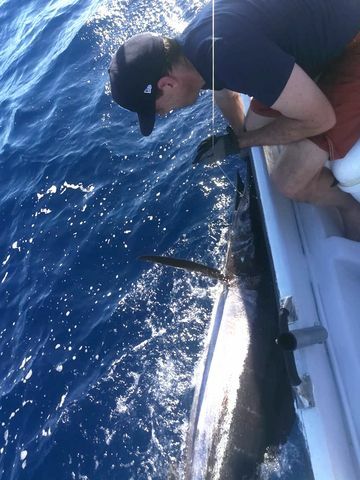 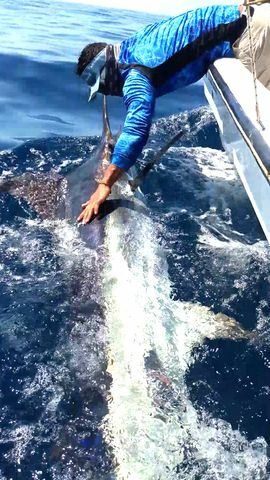 Angler Mark Bradford posted the angling achievement of a lifetime with this excellent Blue Marlin the release on January 30. 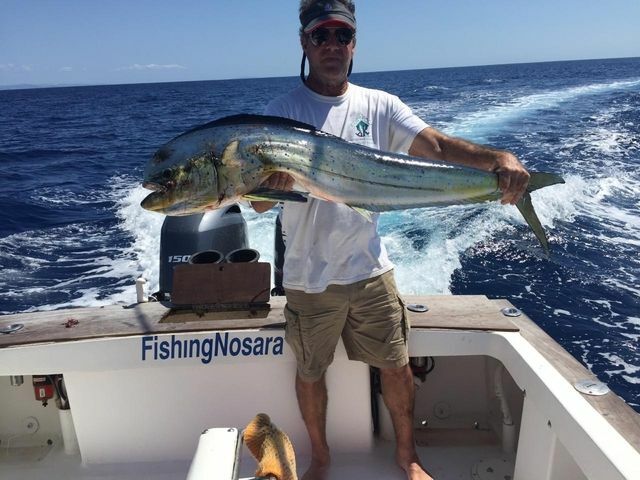 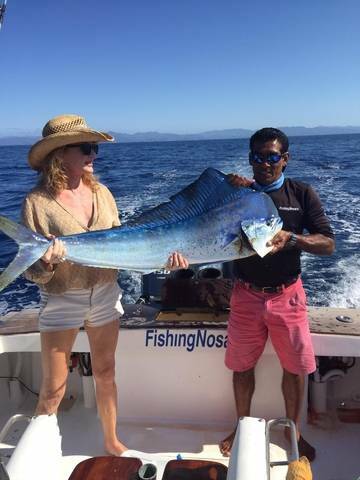 Captain William reported this score in the middle of their morning 5-hour trip. 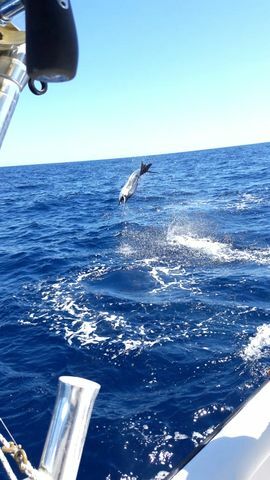 Amazing work by the mighty flagship Wanderer. 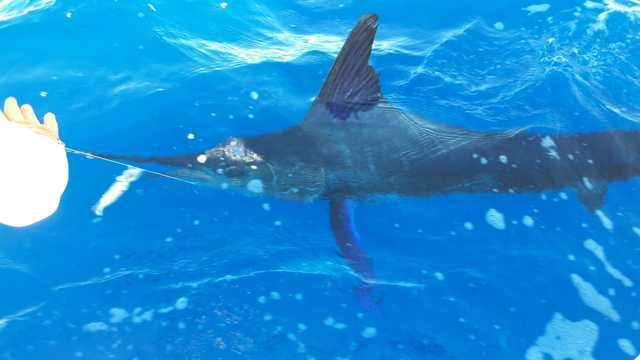 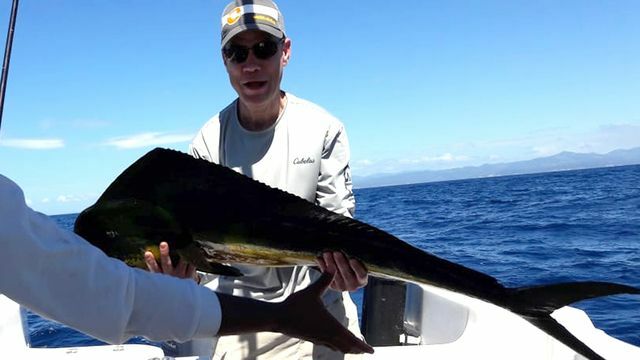 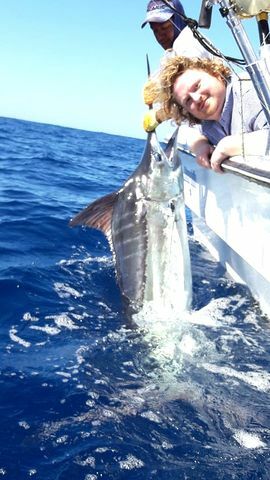 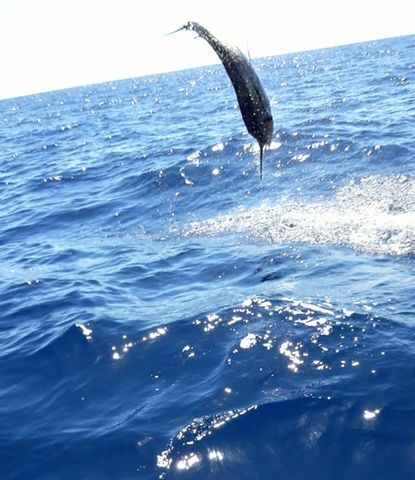 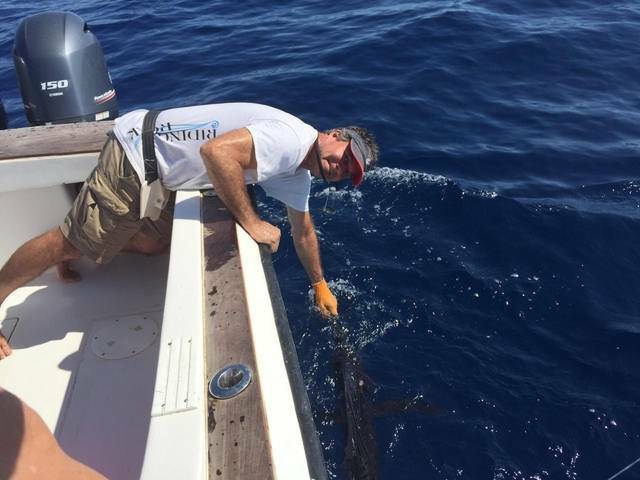 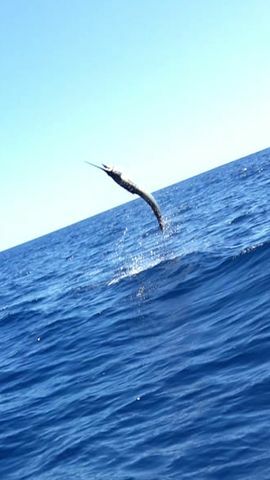 After Catherine’s release, Ron added a super Sailfish release. 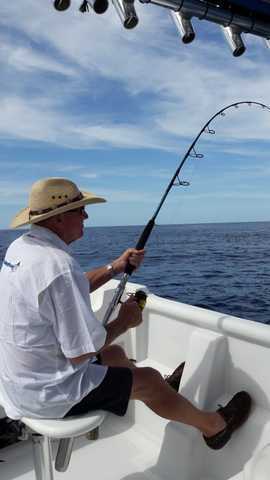 They rounded out the morning with a nice stack of Dorado filets. 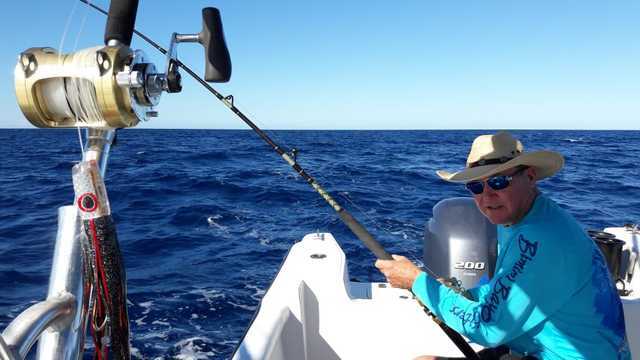 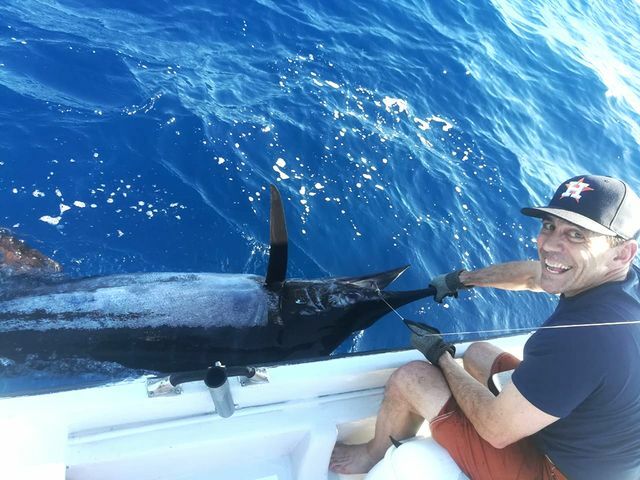 Jeff Capen made history on the Adventurer on January 15 with the SECOND EVER Marlin release on the panga. 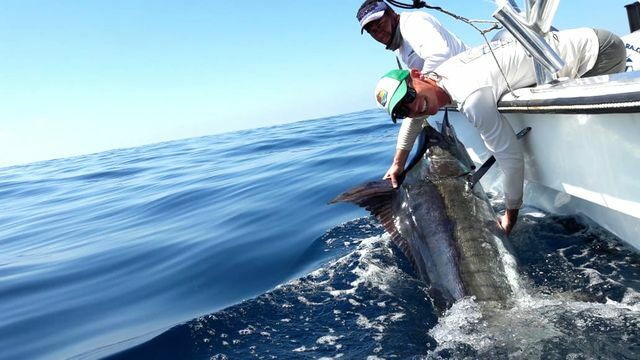 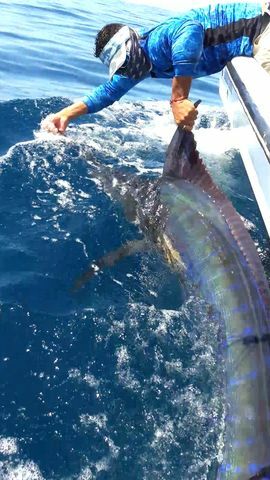 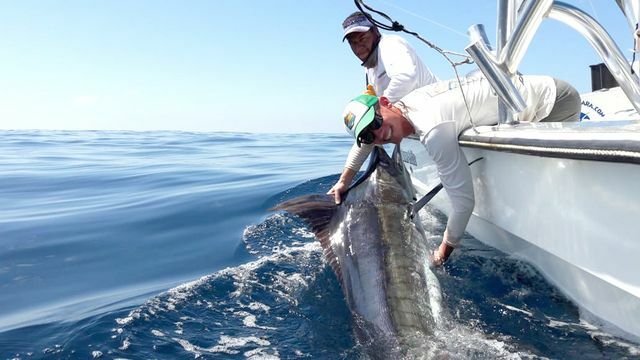 This Blue Marlin release is a magnificent achievement on any boat, let alone the sneaky switchblade. 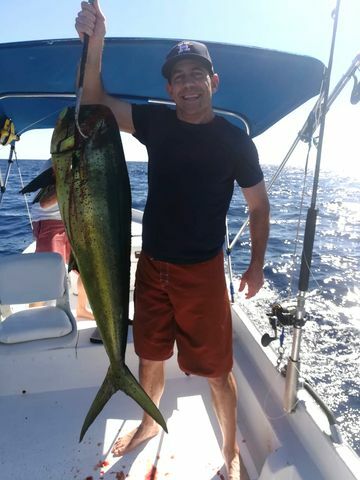 They also nabbed a few nice Dorados for the dinner table. 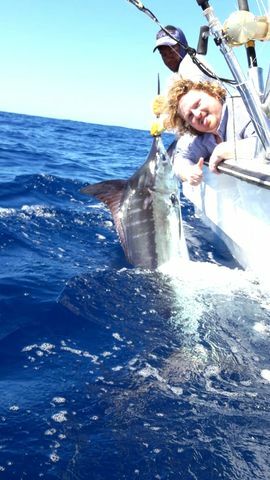 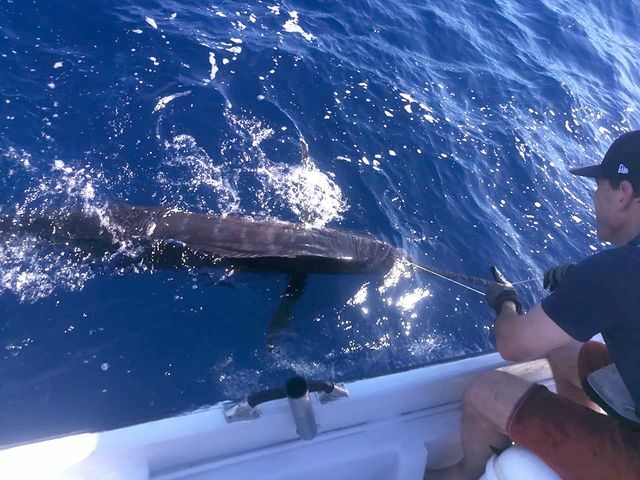 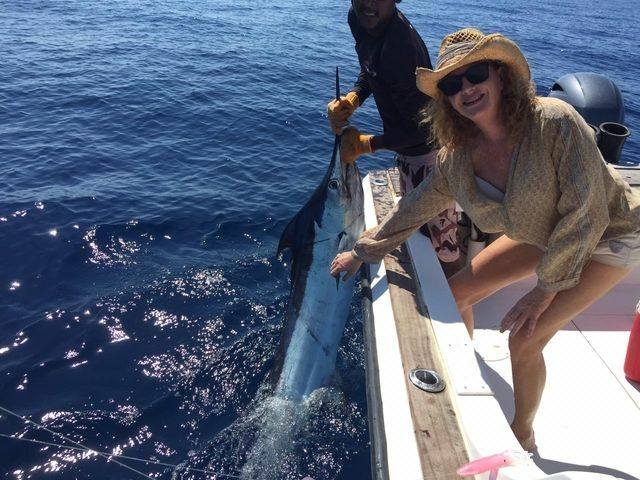 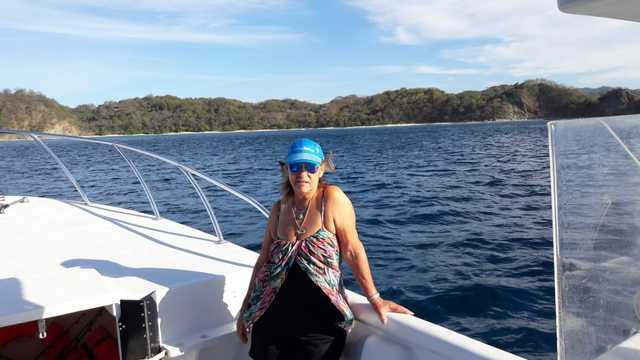 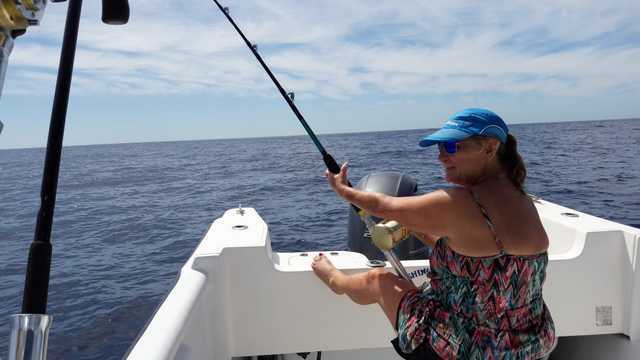 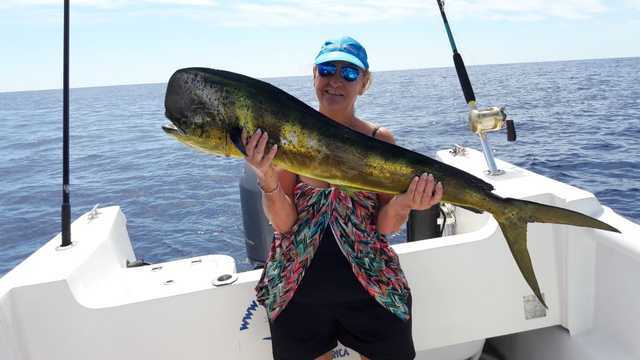 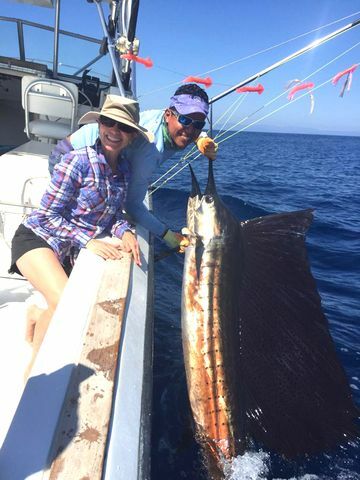 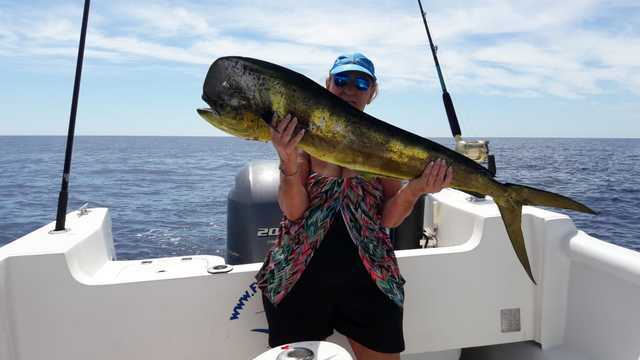 Mary Jane Shanklin was back in action on the 15th, and this time they added to their Dorado scored from early in the week with this excellent Striped Marlin release. 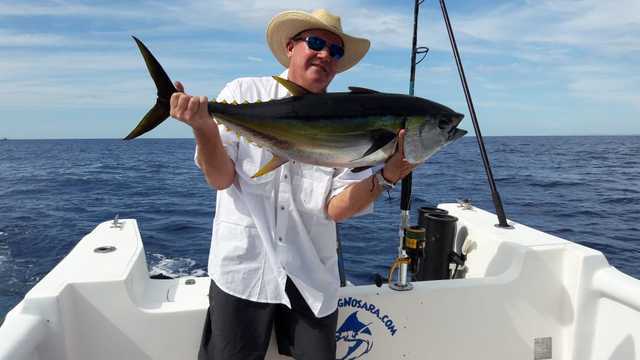 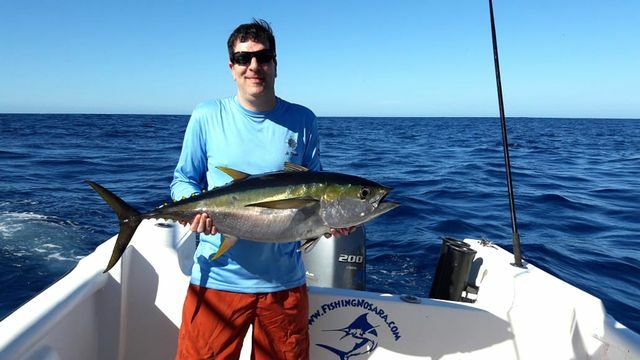 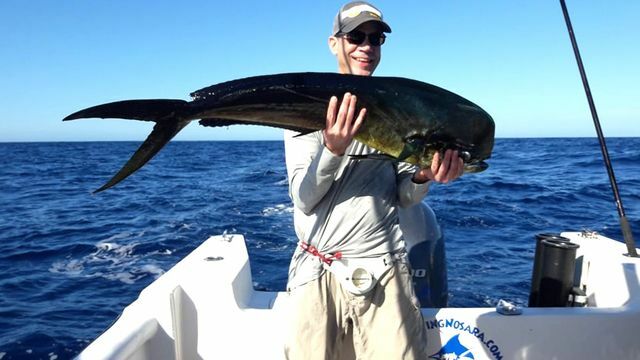 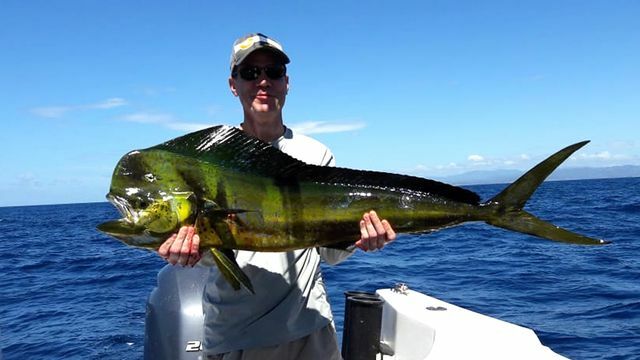 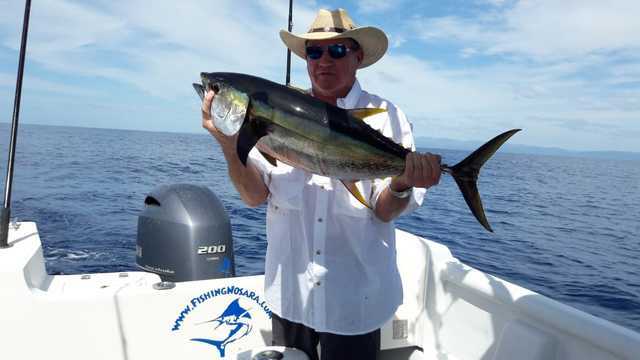 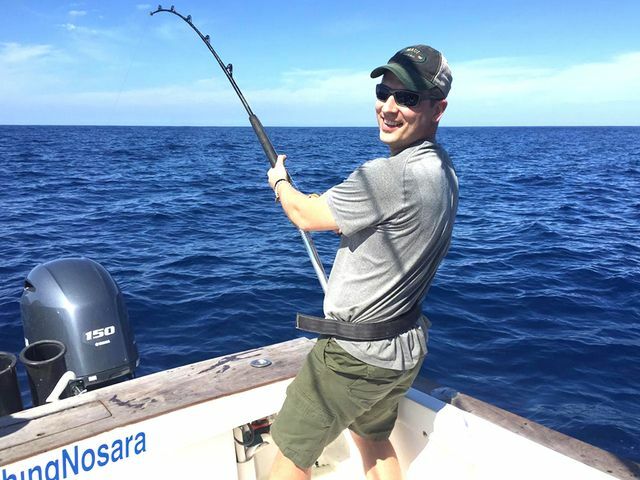 They also scored big on Dorados and Yellowfin Tunas. 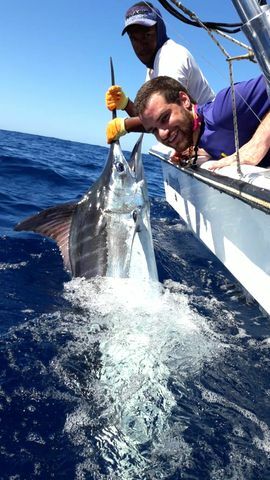 Amazing work by the mega panga! 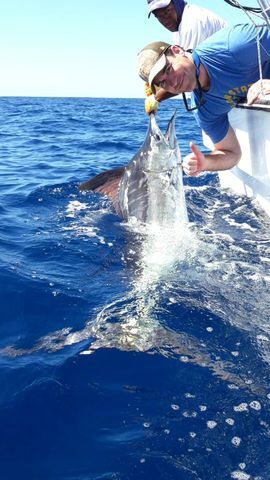 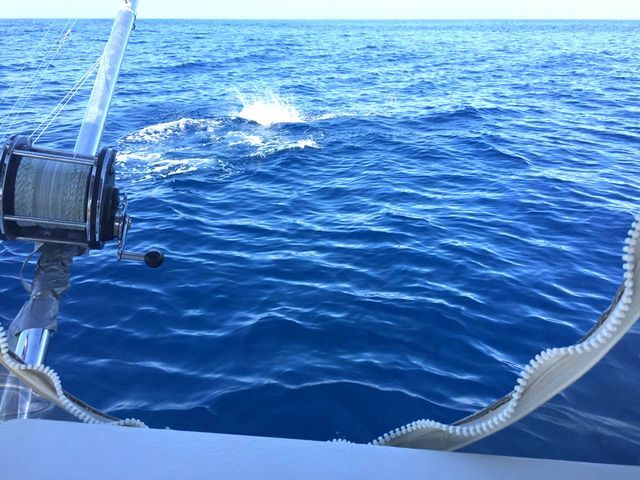 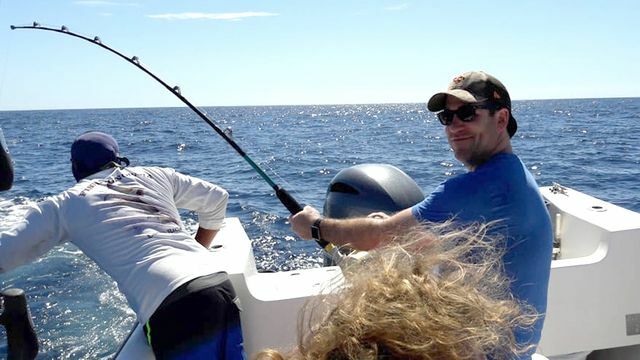 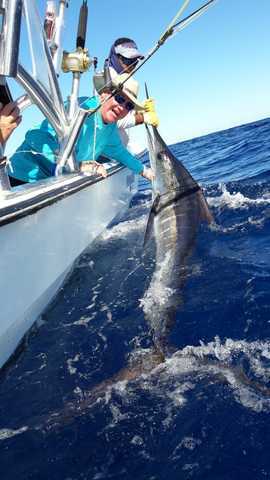 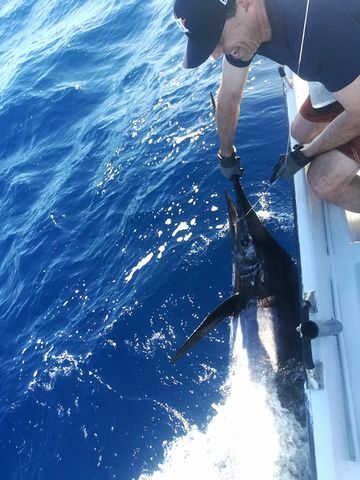 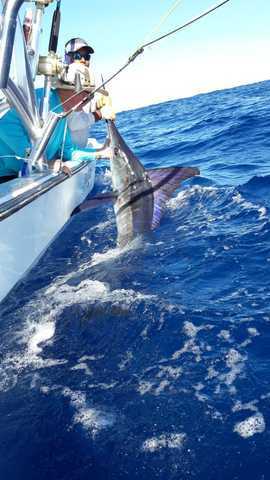 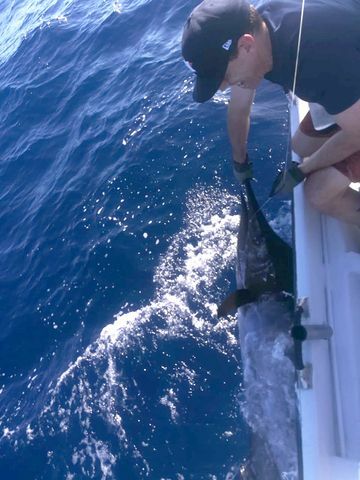 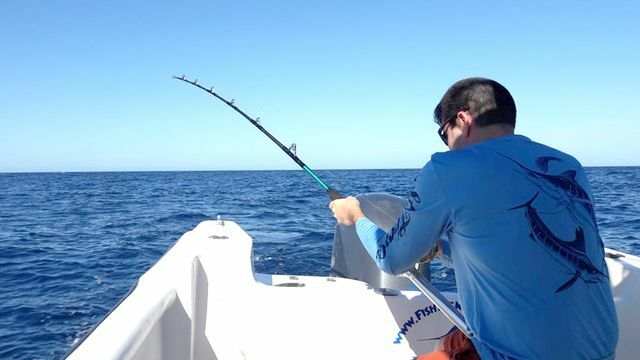 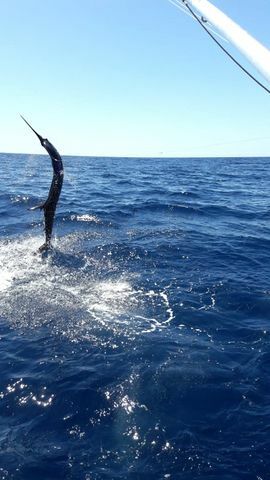 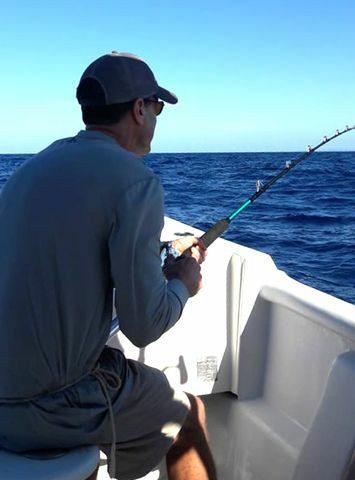 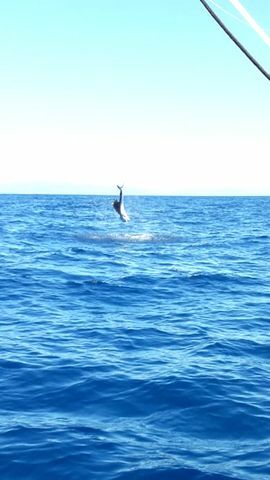 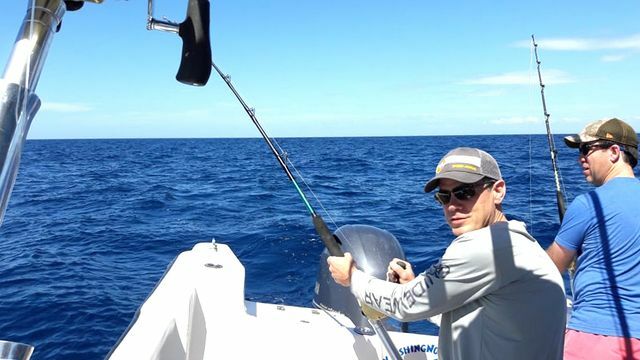 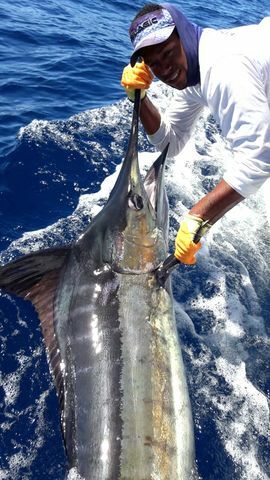 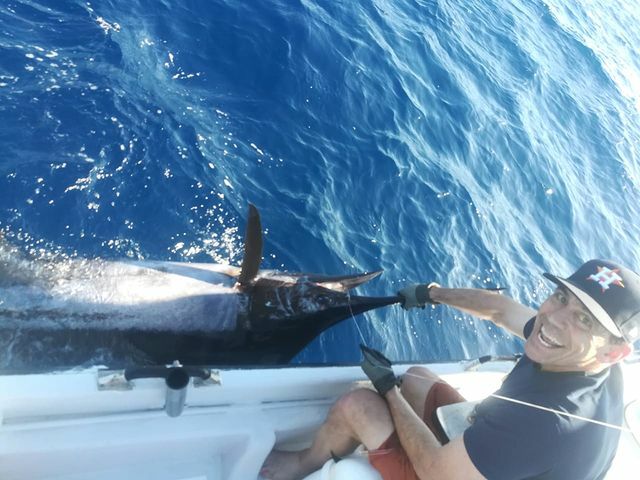 Captain Alex was deep in the battle on January 14 as client Kevin Poindexter threw down with an sweet Blue Marlin. 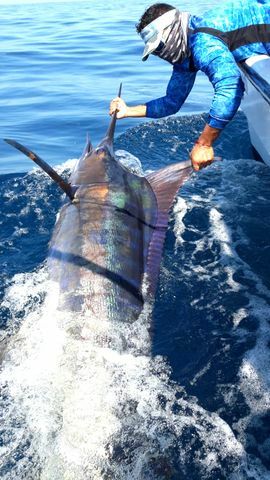 Mate Kevin estimated this beast at a little over 300lbs. 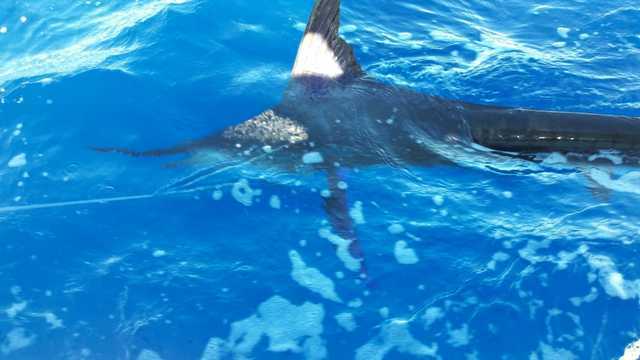 Safe released alive and kicking as usual. 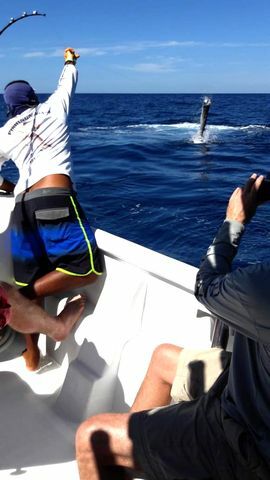 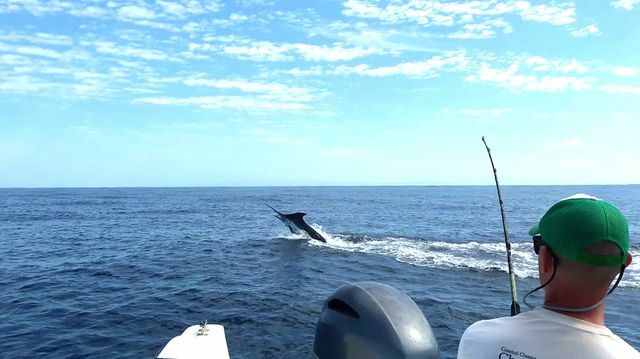 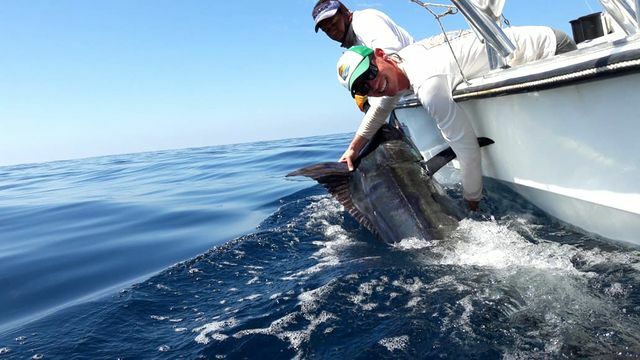 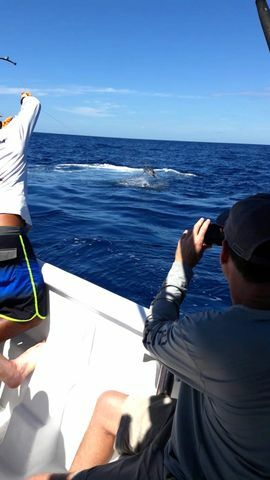 The big Marlin was the headliner, but it was supported by this excellent Sailfish release. 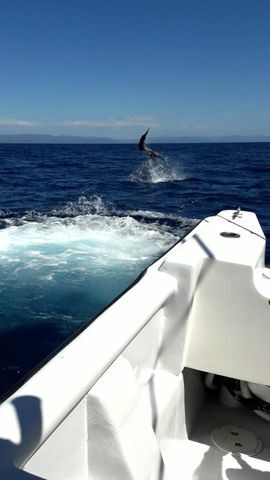 This high-flyer put on a nice show with lots of above-the-water action. 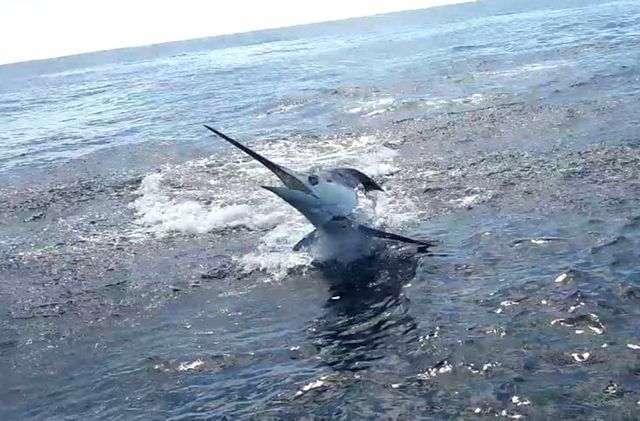 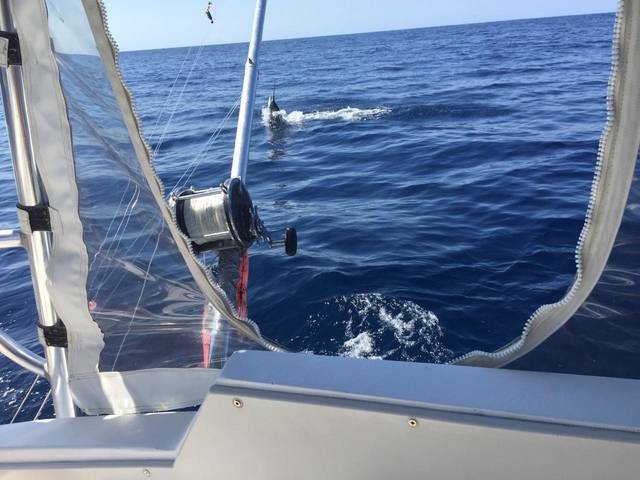 They finally outlasted this Sailfish, and brought home lots of nice photos of the fight. 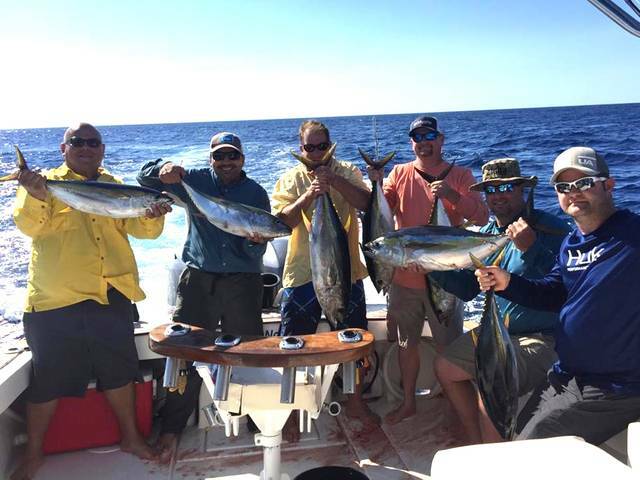 This group rounded out their day with a nice Dorado and a sweet Yellowfin Tuna. 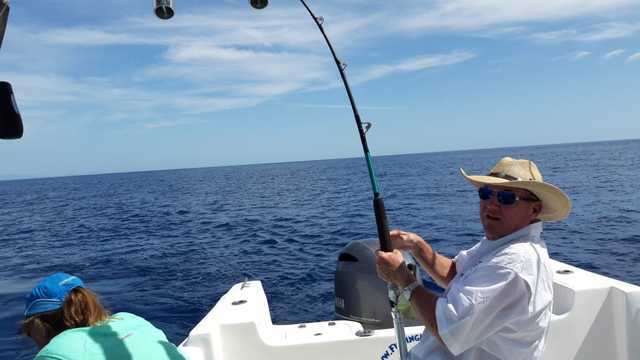 Good thing, because it’s easy to work up a big appetite when catching all day long! 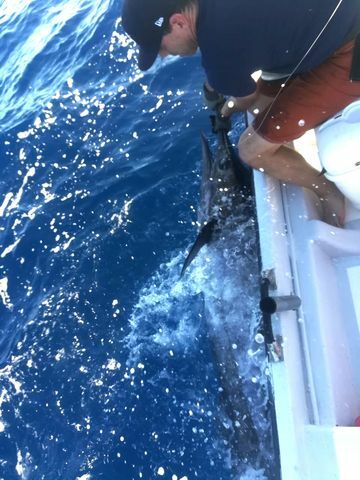 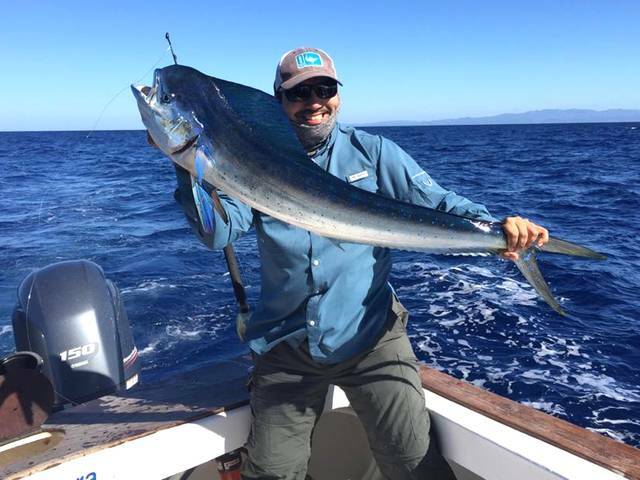 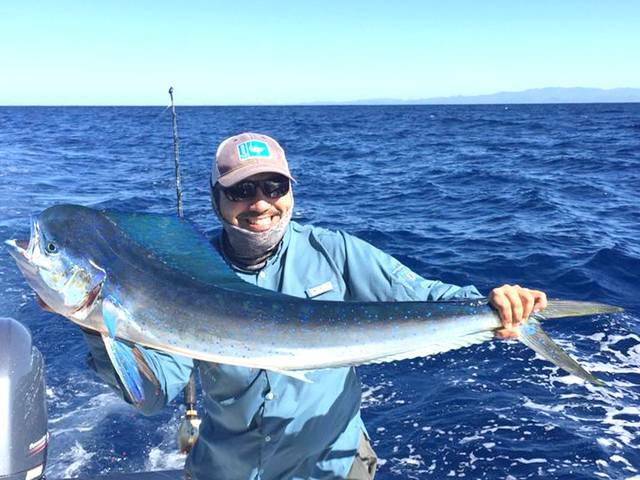 The other half of Adam LeMaster’s group was on the Discoverer on the 11th, and angler Roger Salinas managed to one-up the flagship with this feisty Blue Marlin release. 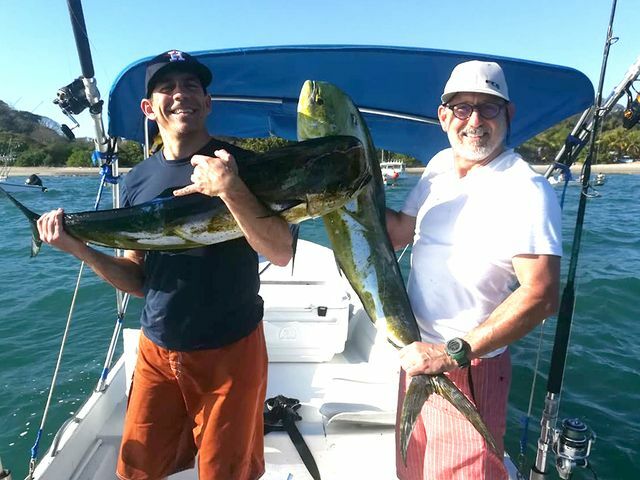 Like the other group, they stocked up on Dorado filets. 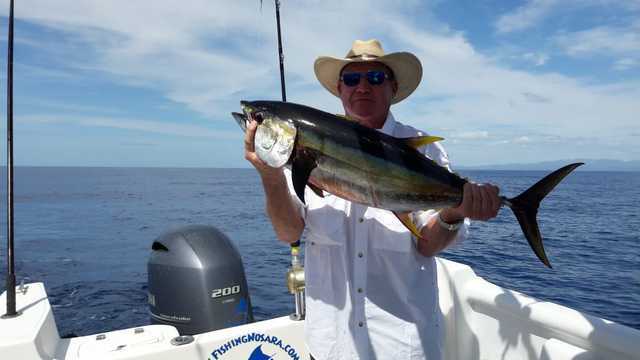 However they upped the ante with multiple awesome Yellowfin Tunas on ice. 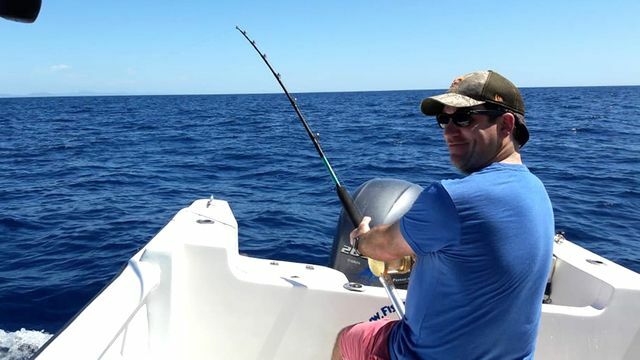 Great job by the big battleship!